Luckily, you don’t have to get started on your decorations right this minute, because At Home has a huge selection of holiday decorations – definitely the largest selection of any other retailer in my area. 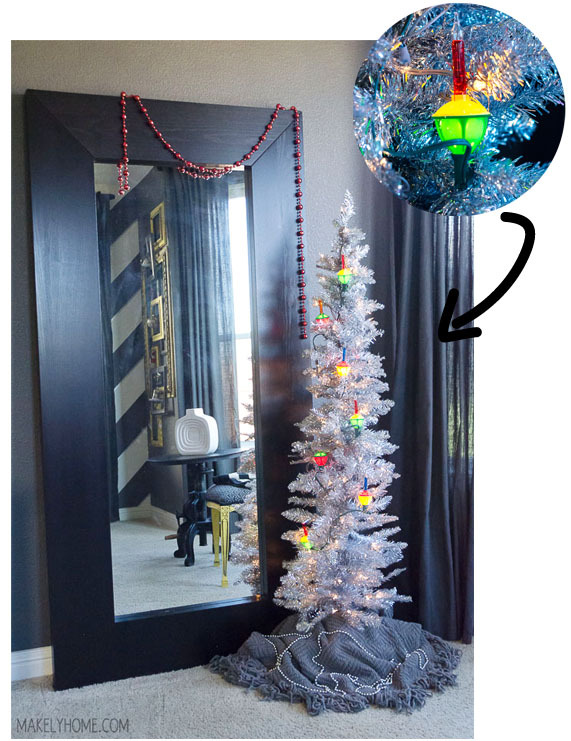 And even better, they make it so easy to put together a great holiday room or beautiful tree on a small budget. 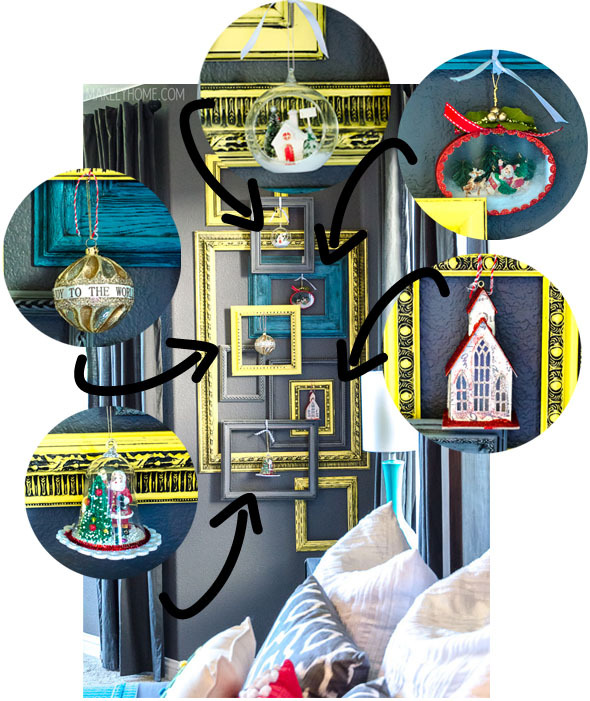 They have 15 different themes of decorations, like Snow Capped Scene, Forest Fairytales, and Cherished Memories. You can pick one theme and go wild, or you can mix and match. Many of the themes are shown here. 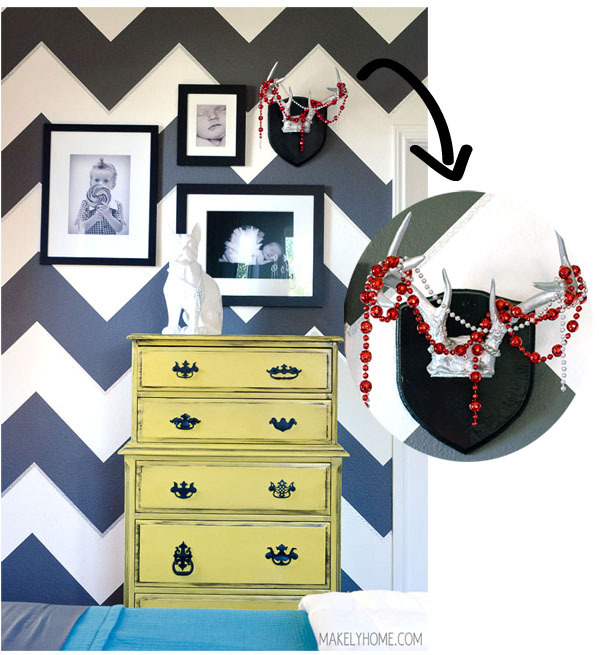 One of my favorite things that I did in the bedroom was to hang some ornaments from my layered frames gallery wall. Why had I never thought of that? 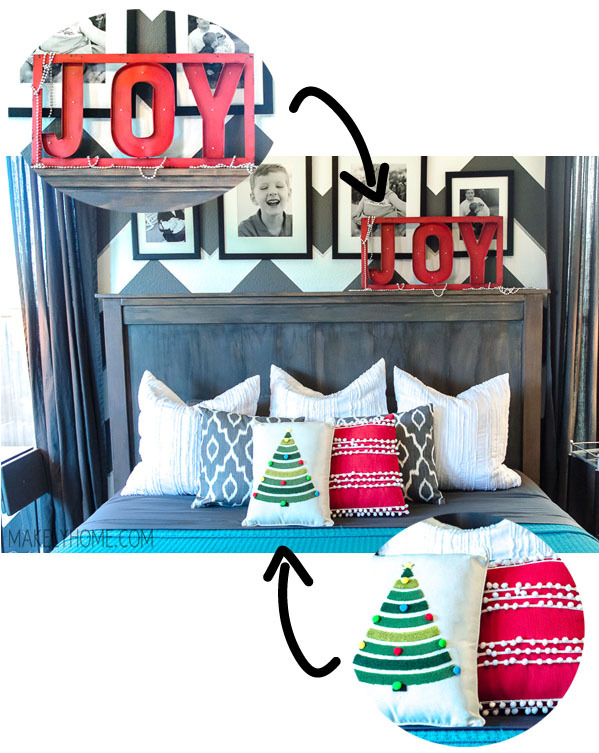 On the bed, I added two fun throw pillows – a Christmas tree and a pom pom trim pillow. 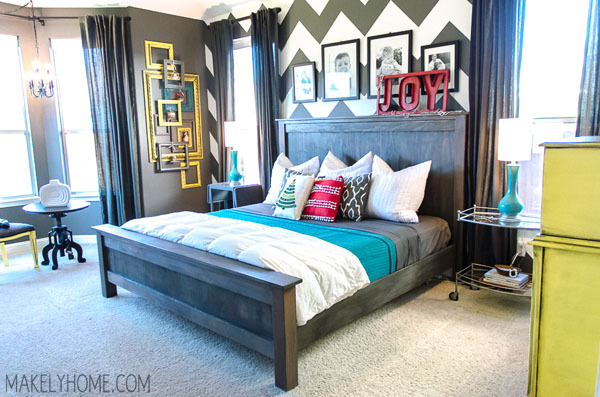 Doesn’t it remind you of my Swing Stripe curtains? These pillows are some of my favorite new pieces!